"In the beginning there was Syd Field. Then came McKee and Vogler. Now there is Dara Marks." Click here to be informed about future workshops, lectures, and events! Dara Marks is a leading international script consultant who has specialized in the analysis of the modern screenplay for the past two decades. Creative Screenwriting Magazine has consistently rated her one of the top script consultants in the film industry. Her advice has been sought on a wide variety of films and television programs, and her clients range from beginning and apprentice screenwriters to top studio writers and executives. 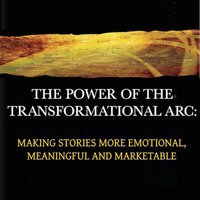 Dara is the author of an exciting new book on screenwriting - INSIDE STORY: The Power of the Transformational Arc. In it she reveals her innovative process that helps writers maintain the artistic integrity of their vision throughout the development of their story. 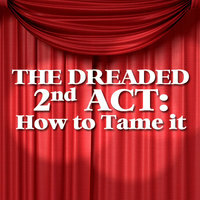 Her unique workshops and seminars are drawing national and international praise. Many years ago, I had one of those great bookstore experiences where a life changing book literally fell off a shelf into my hands. It was The Hero Within: Six Archetypes We Live By, written by Carol Pearson. This was one of my initial exposures to archetypal principals that illustrate the transformational patterns of human behavior. Carol's work helped me to see my own journey through life from a greater perspective and, as a story analyst, it deeply enhanced my ability understand and detect the interior mechanisms that drive plot and character development. 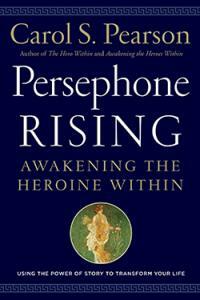 Carol Pearson's books have remained at the top of my recommended reading list throughout the last few decades and I am now really thrilled to add her newest work, Persephone Rising: Awakening the Heroine Within, to my bookshelf. As you know, my own work has lead me into the depths of the Feminine Heroic from which we retrieve life's meaning and value, so I truly hope this book and all of Carol's work will fall into your hands, as well. Click for Dara's recommended reading list (PDF). Integrate the essential story elements of plot, character and theme into a unified whole. Infuse your characters with richness, subtlety and surprise by developing a more dynamic and emotional internal storyline. Bring greater thematic value not just to the story, but to the writing experience itself. Want to know when Dara's coming to your town? Click here!